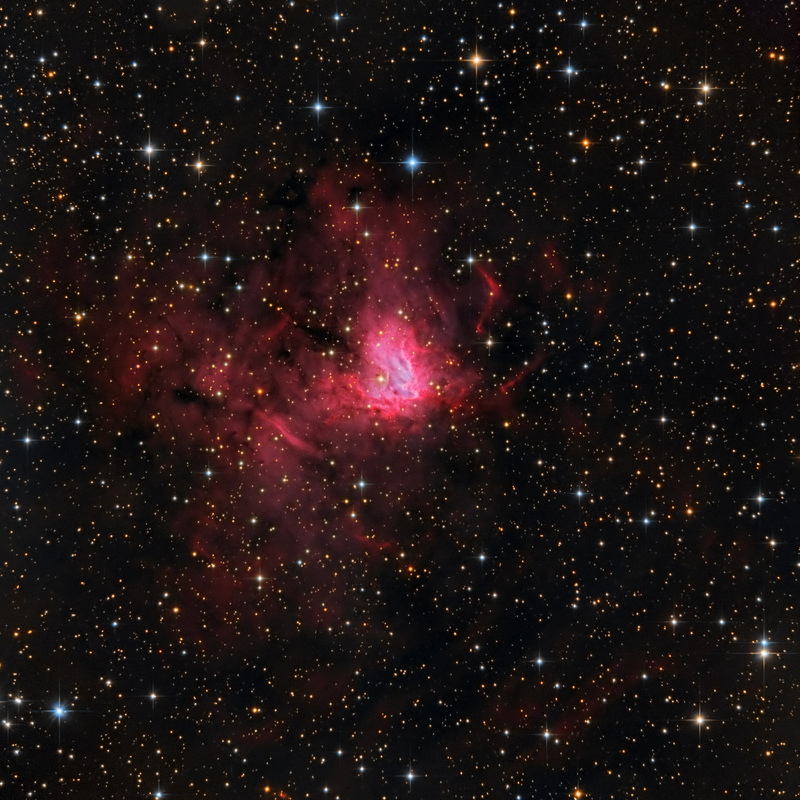 NGC 1491 (also designated SH2-206 and LBN 704) is a bright emission nebula and HII region, located on the edge of a vast cloud region of neutral gas, about 10 700 light-years. HII regions are well known for being places where new stars are born, and are created when ultraviolet radiation from hot stars ionizes the surrounding gas, causing it to glow in visible light. The surrounding dust is also heated by this radiation, so we also see it glow in infrared light. The entire nebula is quite irregular. The major source of ionizing radiation is the blue star BD +50 886, which has been classified either as O5V star (Crampton, D., Fisher, W.A. 1974 Publ. Dominion Astrophys. Obs. Victoria Vol. 14, No. 12, p. 296-297) or as O4 star (Hunter, D.A., Massey, P. 1990, Astronomical Journal (ISSN 0004-6256), vol. 99, March 1990) The ionizing star is located about 1' to the east of the brightest emission. The blue star is illuminating the nebula while its strong stellar wind is “blowing” a bubble in the gas that immediately surrounds it.